We Filipinos are also celebrating Chinese New Year and follow traditional ways as we welcome the new animal year. This 2016 is Year of the Fire Monkey. We are all excited what's in store for us this year. Admit it, you also read what's in your horoscope and makes us feel excited. As much as we would love to be lucky this year, we know that we have to work hard for it. What it says on your horoscope this is just your guide to your destiny. Learn how to maximise your opportunities in 2016! 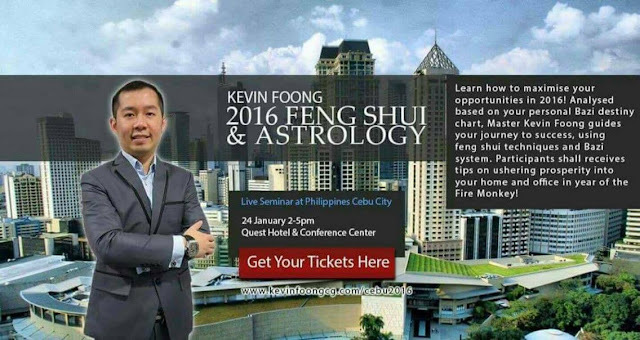 Analysed based on your personal Bazi destiny chart, Master Kevin Foong guides your journey to success, using feng shui techniques and Bazi system. Participants shall receives tips on ushering prosperity into your home and office in year of the Fire Monkey! You can book your tickets online click here. 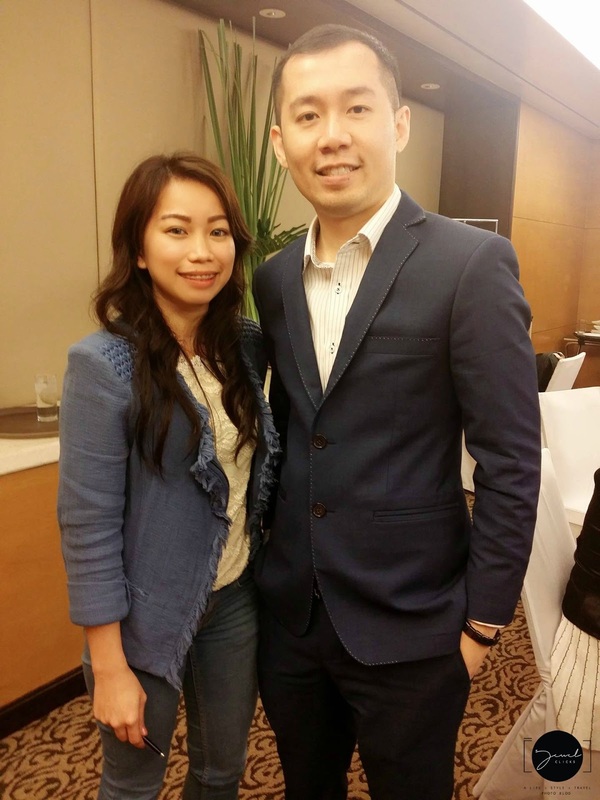 Based in Singapore, Master Kevin Foong provides Feng Shui consulting globally. Bazi (4 Pillar of Destiny) and Feng Shui workshop are conducted regularly for true practitioners. Kevin Foong (馮維宸) is one of the most sought-after professional Feng Shui & Bazi consultant in the world. He is the founder of Kevin Foong Consulting Group, a global organisation devoted to the teaching of Feng Shui, Bazi (4 Pillar of Destiny), Mian Xiang and other Chinese Metaphysics studies. 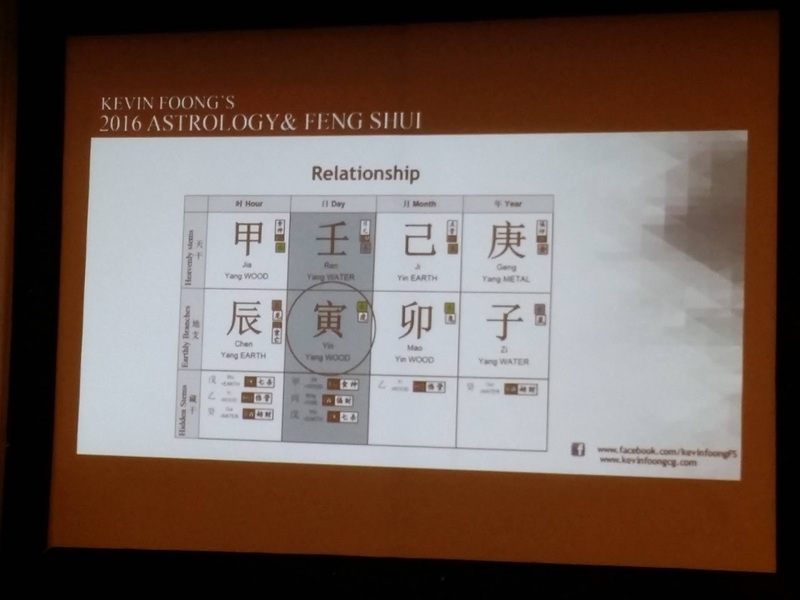 Master Kevin Foong provides Classical Feng Shui (玄空風水) consultations and Life Readings using (Four Pillars of Destiny 子平八字). 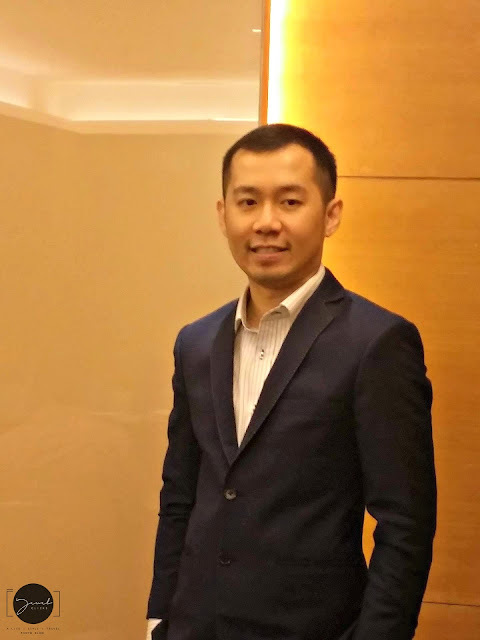 He is well versed in Bazi, San Yuan & San He Feng Shui, Qi Men Dun Jia, ,Face Reading, Vedic Astrology and landform Feng Shui and teaches these subjects in English language. The school offers first class training for people who pursuing Feng Shui as a profesional career. 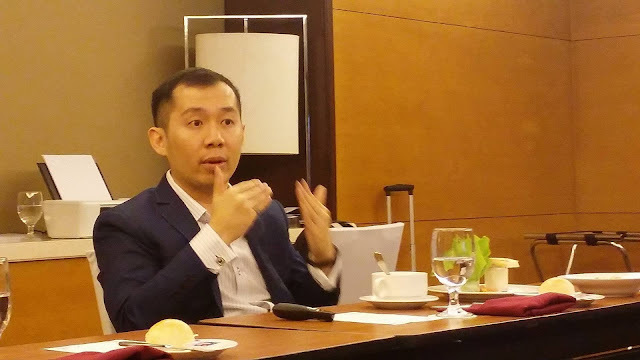 "Kevin Foong talks about Bazi reading that predict events as well during the media launch. One of his predictions is that Cebu will be the best developed city in 2017." The correlation of your date of birth and time contains vital information to your destiny. You can unlock your true potential and gain better understanding to your destiny path by making well informed decision at the right time. Your life events is shaped by every single decision that you made. Knowing when to start a business, form new partnership or changing your job give you the upper hand to success quickly, with the path of less resistance. Learn what can Bazi analysis reveal about your life now.